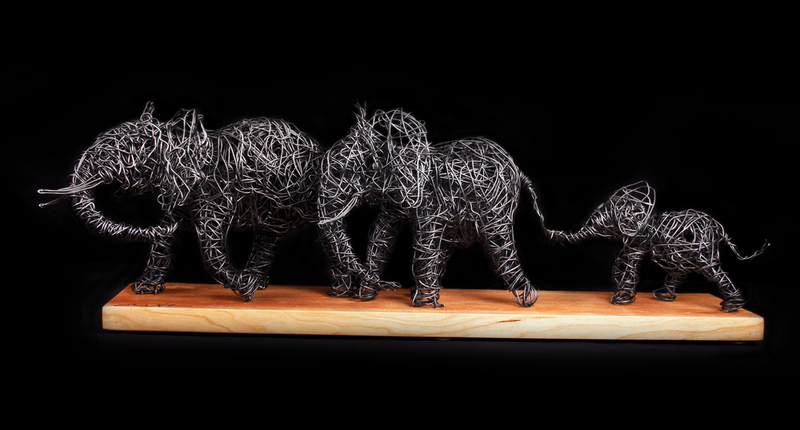 Wildlife and it's environment has been the consistent theme in my work over the years. 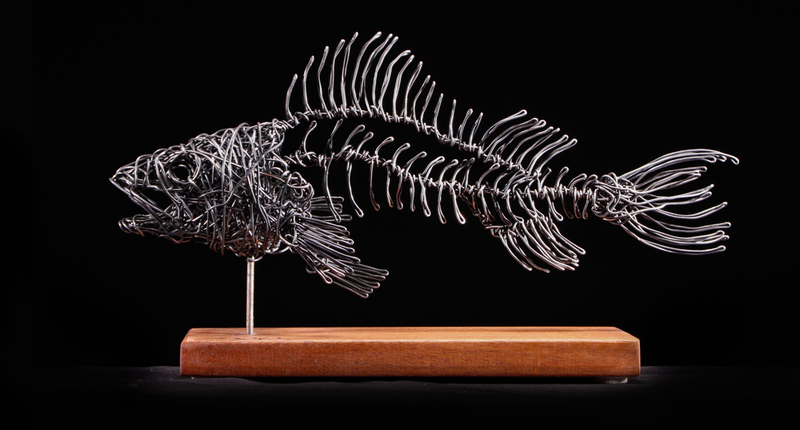 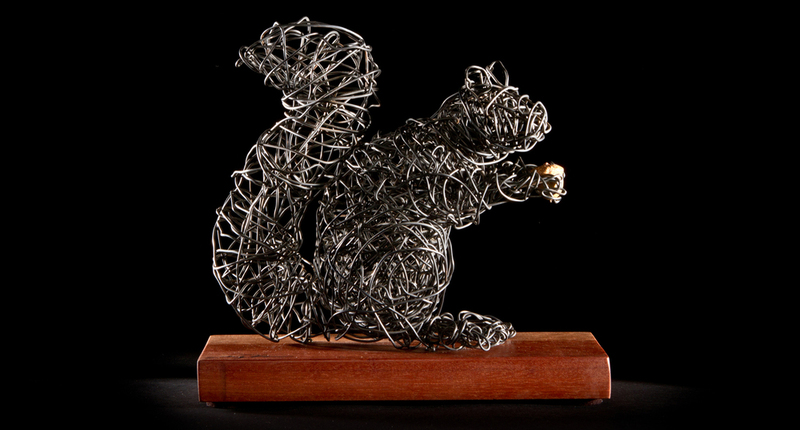 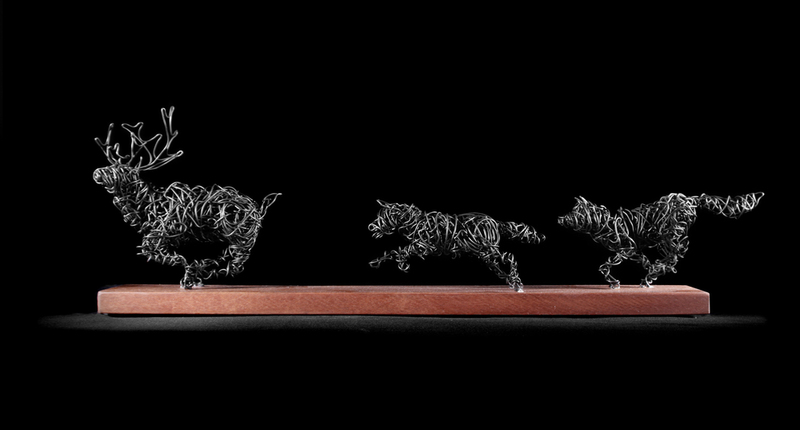 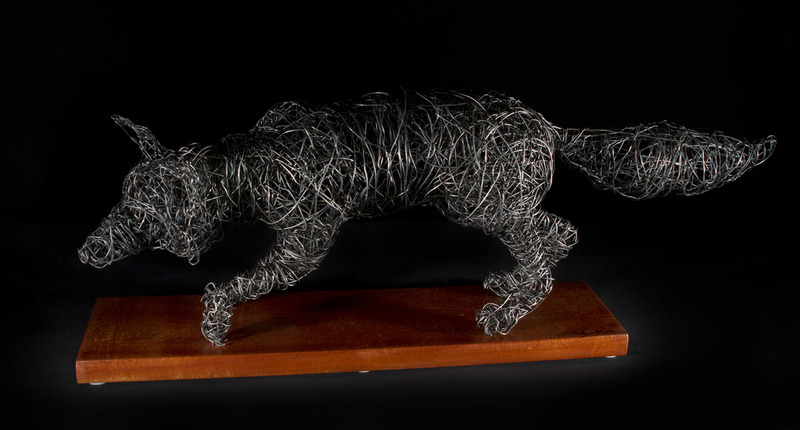 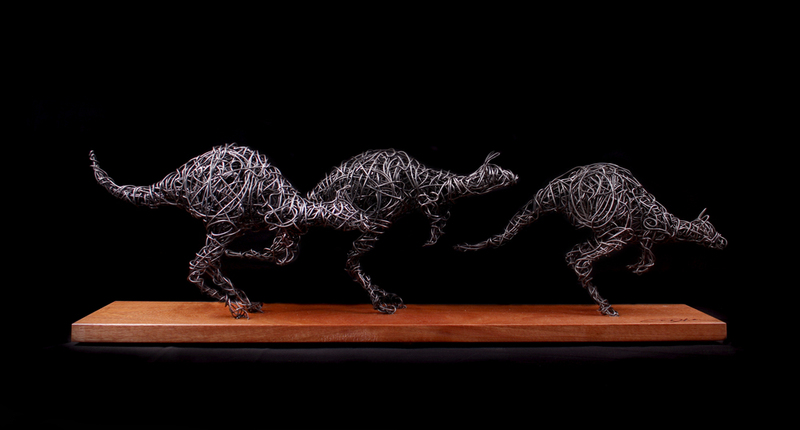 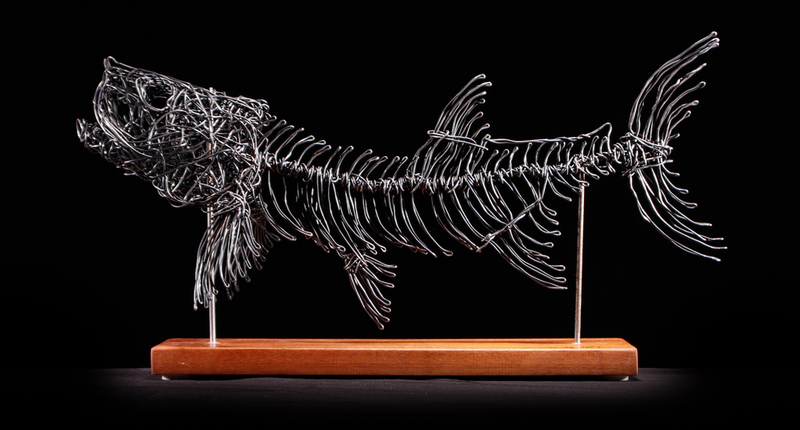 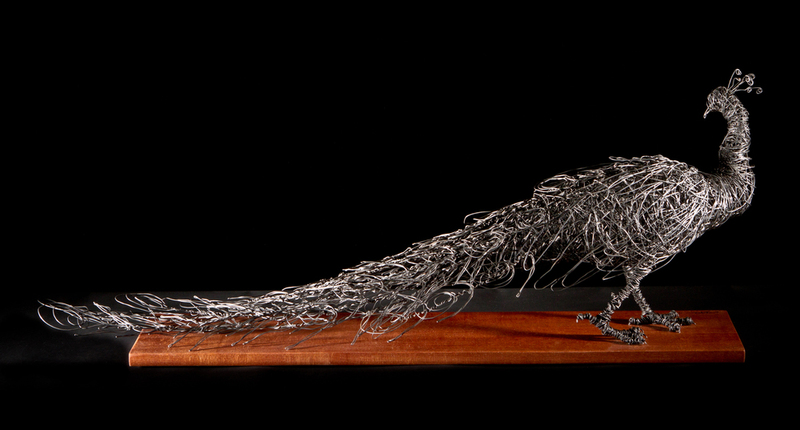 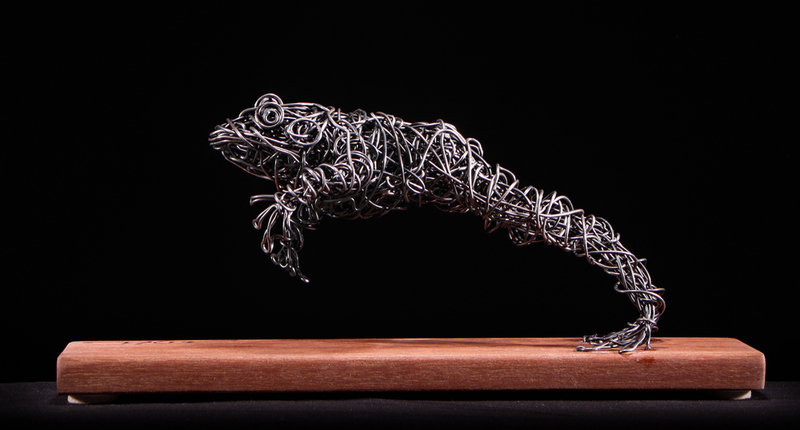 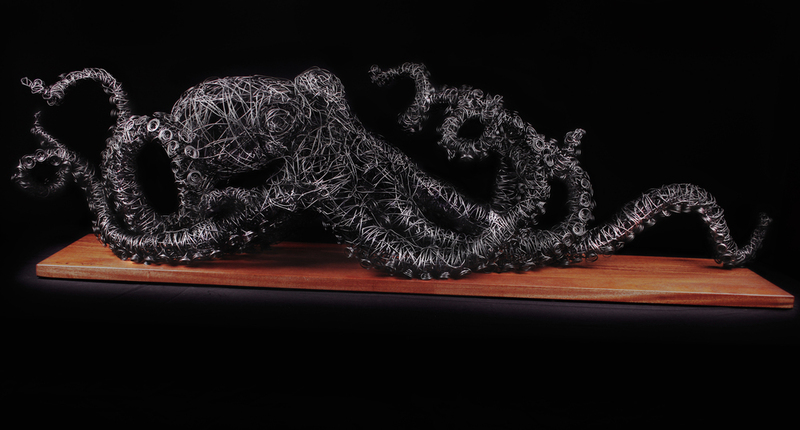 Over the past year I have been intrigued with depicting the motion and anatomy of wildlife in wire sculpture. 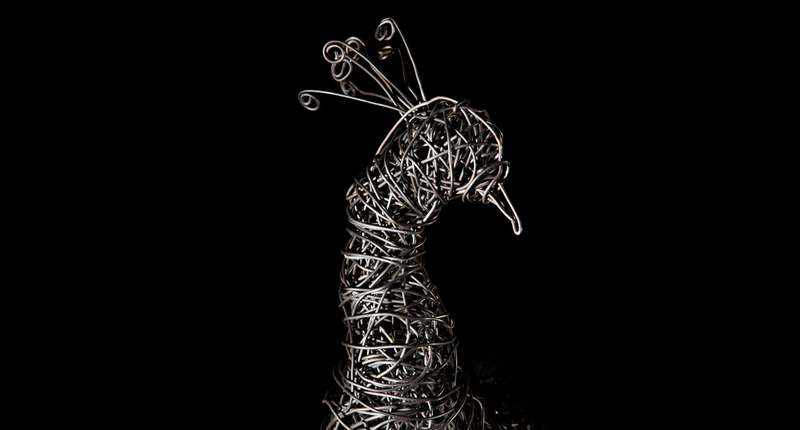 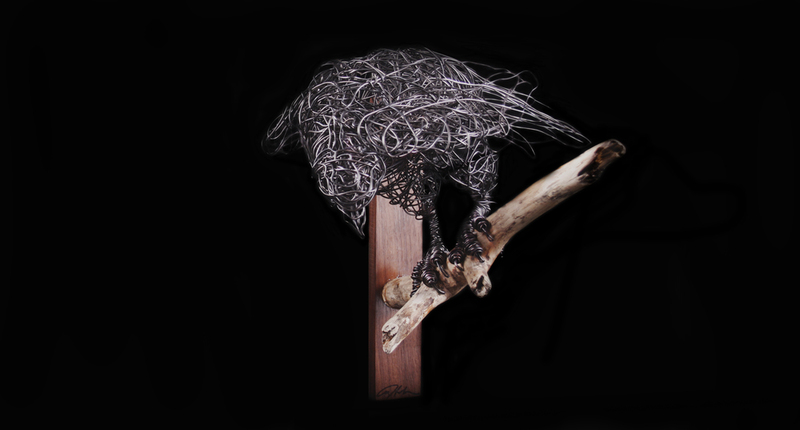 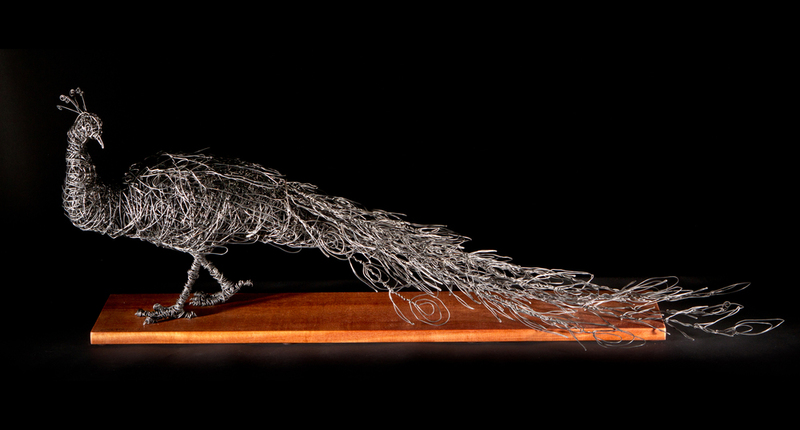 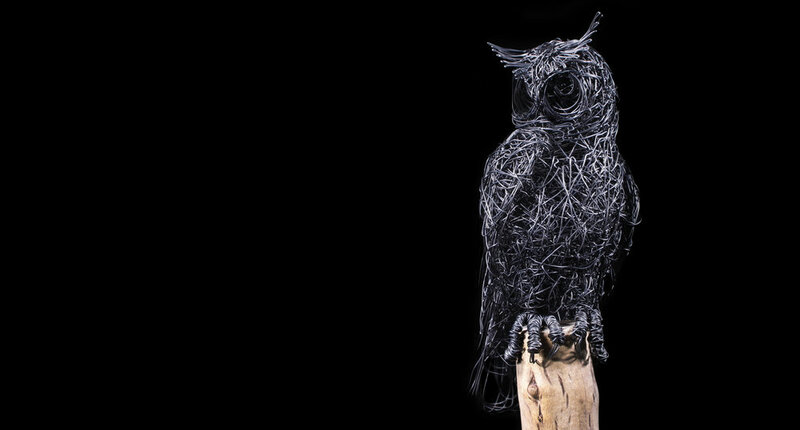 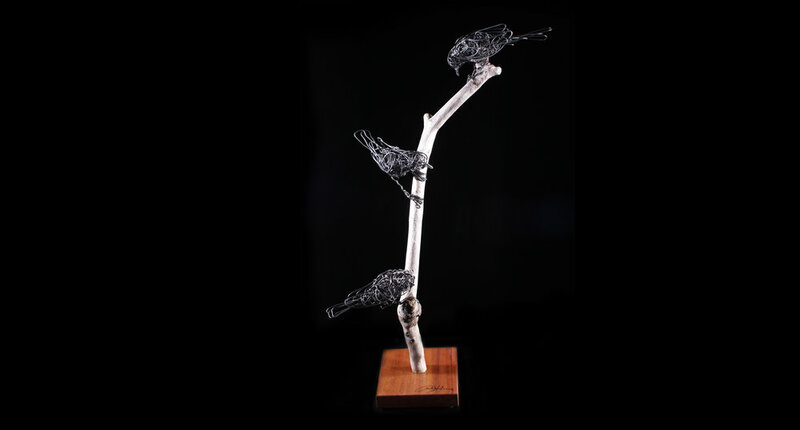 In my Wild Wire series I use 16 gauge industrial wire and draw an animal in 3D-sometimes using only one piece of wire. 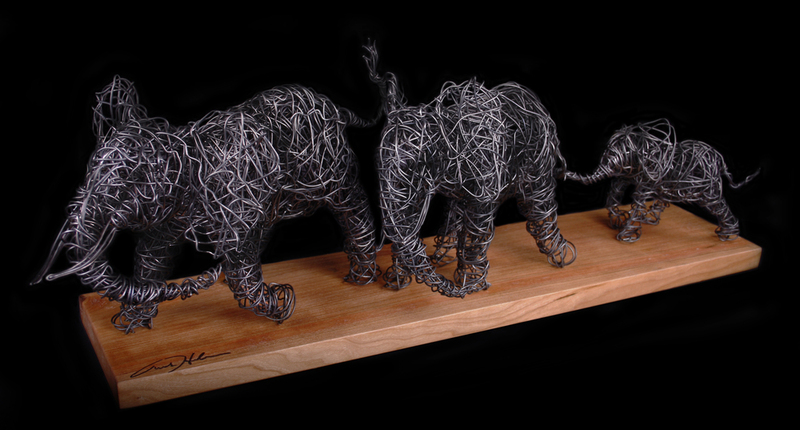 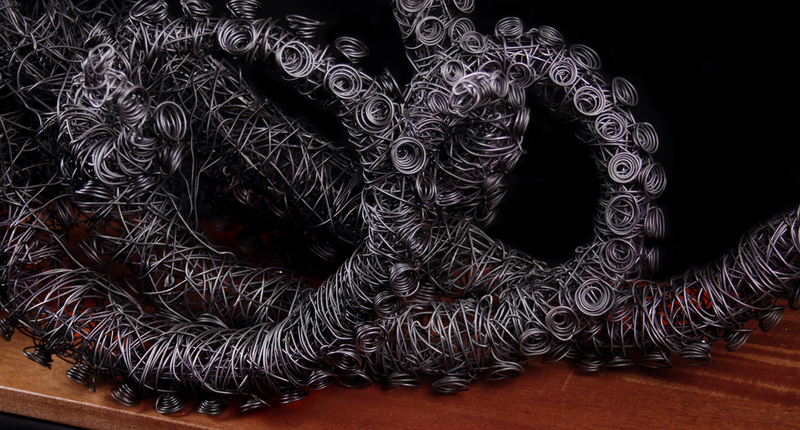 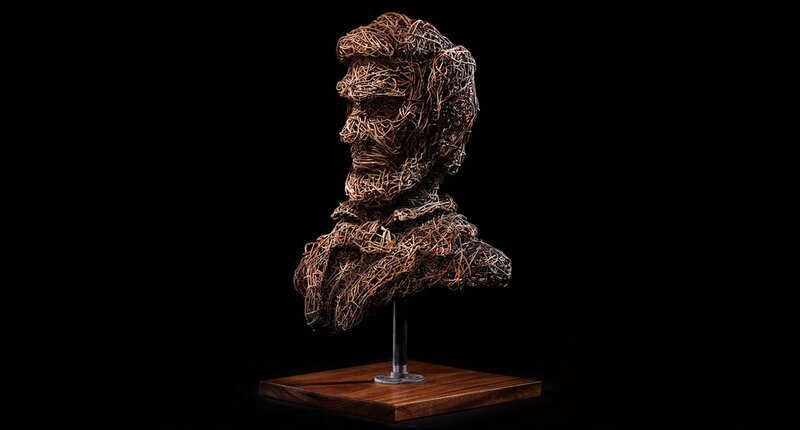 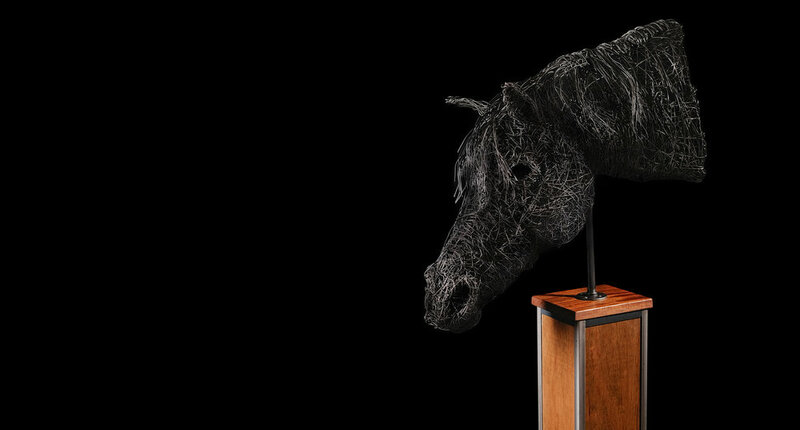 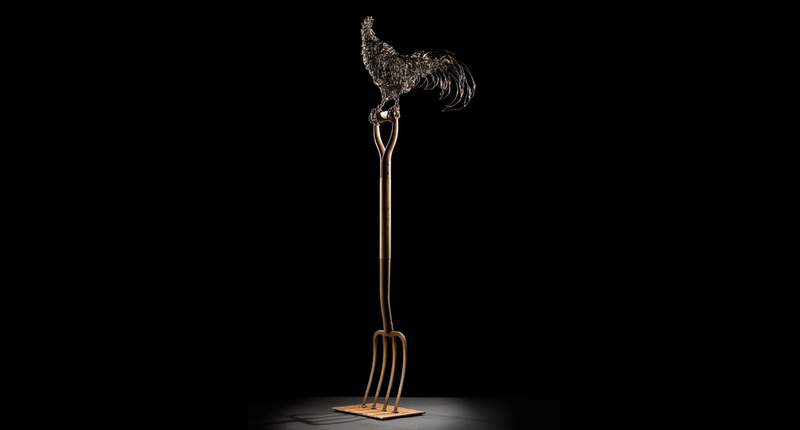 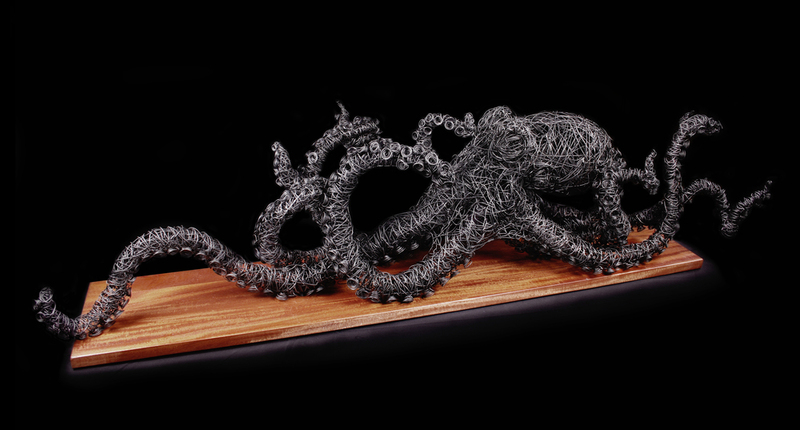 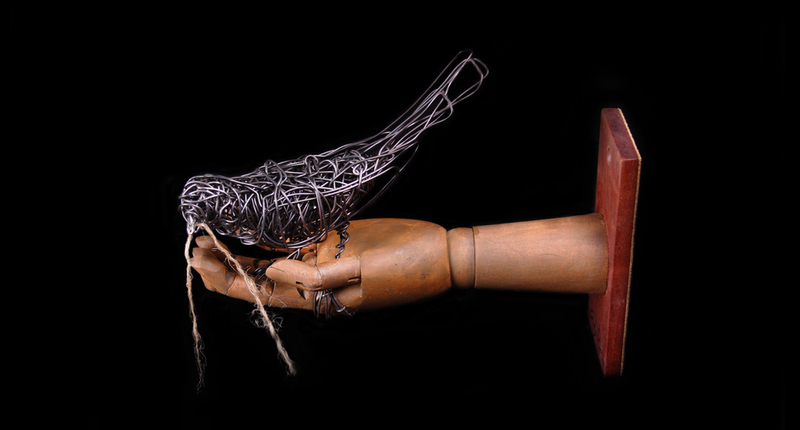 My goal is to use the wire to created elements that speak to the essence of a particular animal. 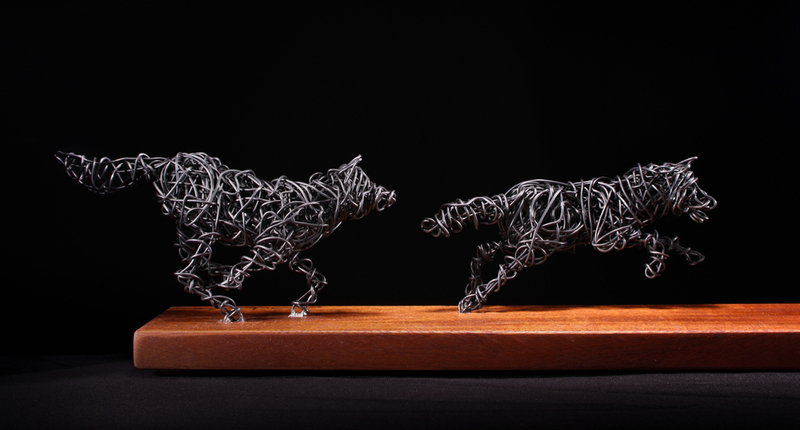 I begin by breaking down the animal to it's unique motion, key features, or personality that represents the animal. 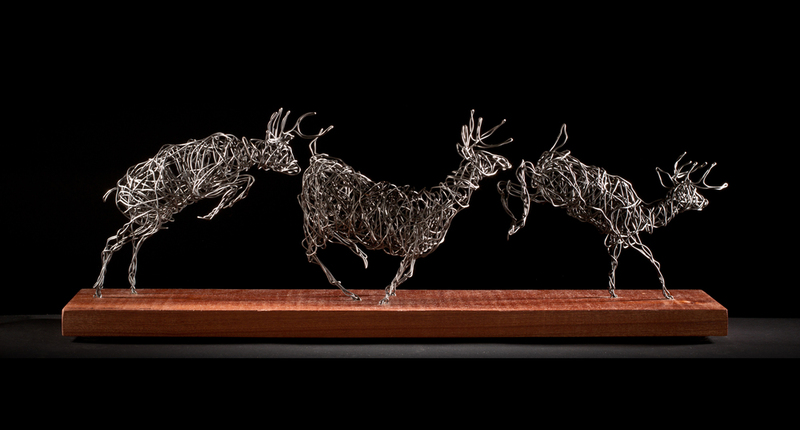 I enjoy telling a story in my pieces-whether it's a group of deer that got startled and bound away or a cheetah in hot pursuit of it's prey. 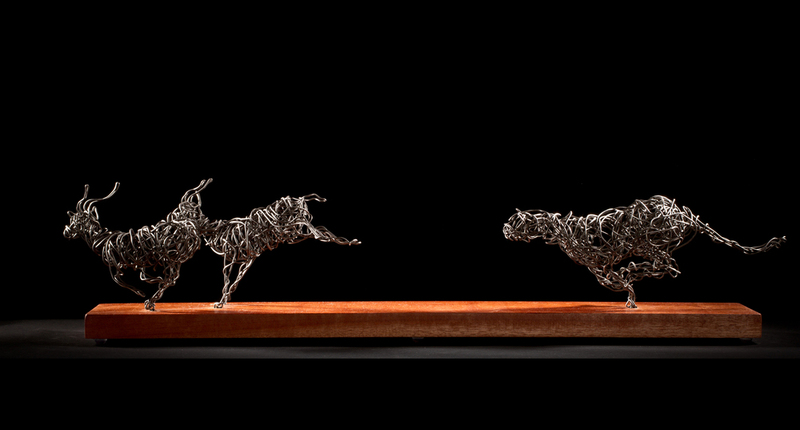 The subject matter is endless in what is possible. 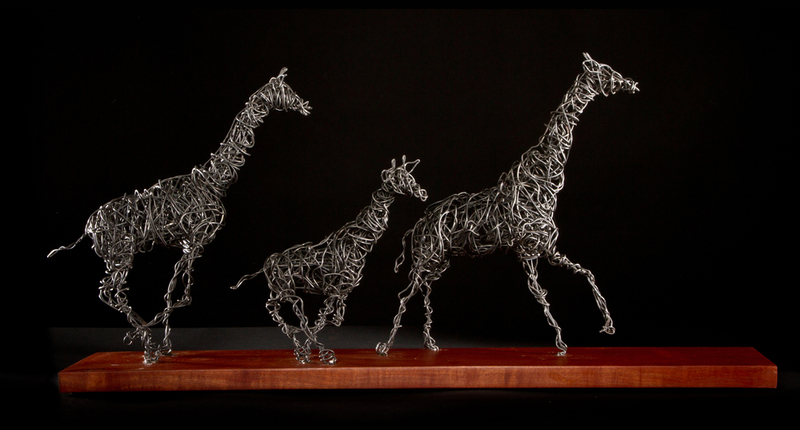 By creating each piece I learn something about the animal and how best to represent it in it's form.